Here's a couple more for this week's challenge! 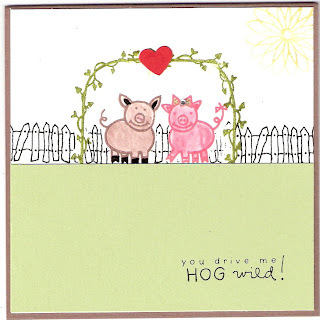 This piggy card is inspired by a Card of the Week from the A Muse News blog from March (I think). Stamps by A Muse, CS by SU!, bling by A Muse, heart punch from Marvy (really old! ).